Dimensions: 12.88 - 21.75" x 2" x 3.5"
Our Adjustable Drawer Dividers can't give you three extra dorm dresser drawers, but they can give your one dresser drawer three times the organization. College dorm room organization is all about making the most out of a very small amount of space. 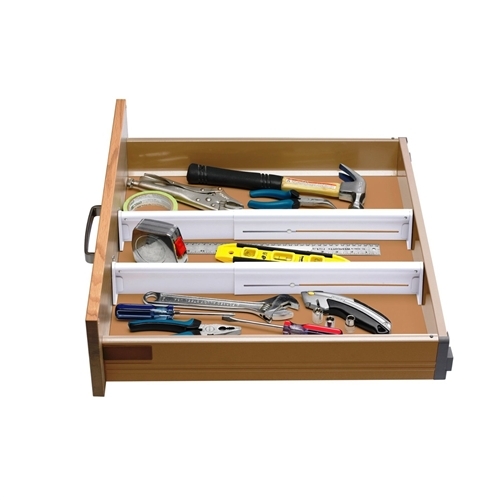 Don't let your dorm dresser drawers go to waste with our 2 Pack Drawer Dividers that can adjust from 12.88'' to 21.75''. No matter how small or large your dorm dresser drawers are they could always use some easy organization. 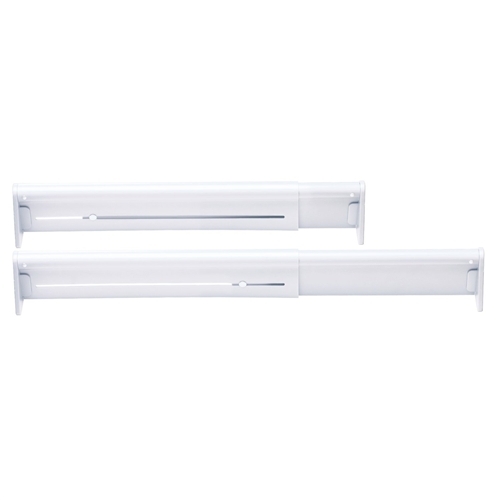 Large underbed dorm room organizers are important college supplies for keeping all of your large coats and jackets organized, but little items need smaller dorm organizers. 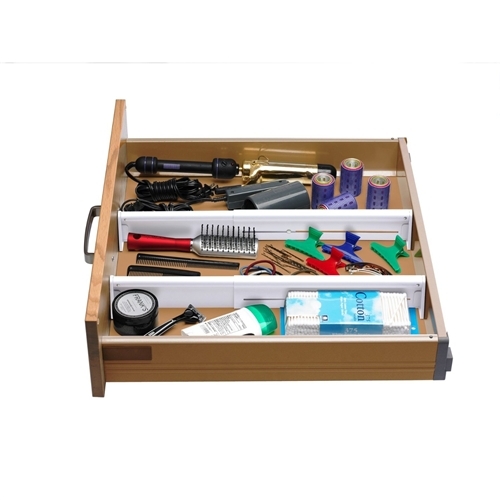 With no assembly required, it doesn't get any easier to use our dorm drawer dividers. Our dorm dividers may work perfectly in dresser drawers, but they also work great with desk drawers. All of your college study supplies need to stay organized too. And with our dorm dividers, they can! 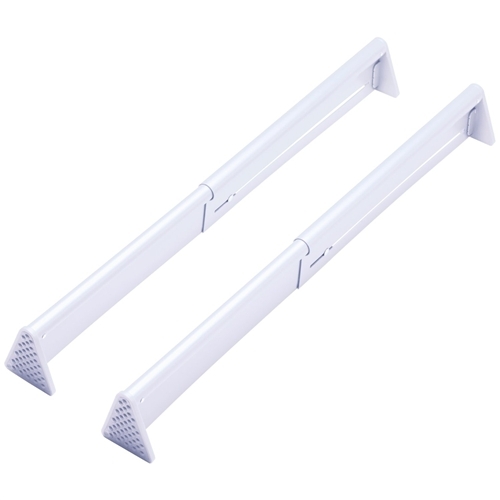 Place our dividers in your dorm room desk and make it easier than ever to get homework done in your dorm room. If you're not excited to live in a small college dorm room, the only way to make the best of it is to use smart, space saving dorm college organizers. With our Durable Drawer Dividers you can at least pretend that you have three new dorm dresser drawers. It's always good to look on the bright side when it comes to living in a college dorm room. You could say that dorm dresser drawer is half empty, or you could say it's half full. 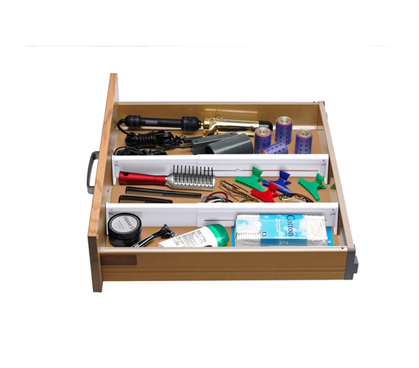 With our Drawer Dividers in your college survival kit, we think you'll always think of your dresser drawers as half full.